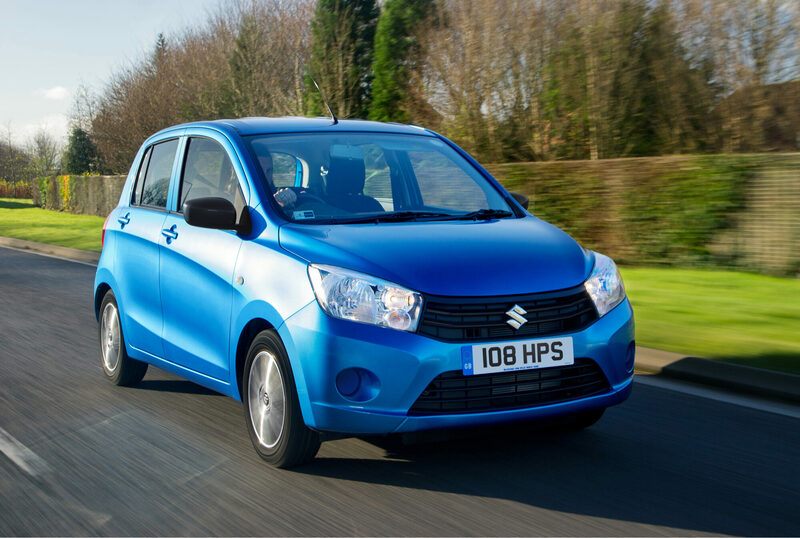 The Celerio, Suzuki’s latest global compact city car went on sale in the UK in February and more than 3,000 have been delivered to date. To add further choice and value for customers, Suzuki has now introduced a new SZ2 derivative priced at £6,999 that now completes a five model line up in the range consisting of SZ2, SZ3, SZ3 Dualjet, SZ4 and SZ4 with Auto Gear Shift. Although priced at £1,000 below the SZ3 model, standard specification highlights for the new SZ2 is comprehensive and includes six airbags (driver, passenger, side and curtain), electric front windows, central locking, ESP and DAB Radio with CD Tuner. Suzuki is well known as the small car expert and Celerio has retained its trademark compact car ease of drive while providing an elevated driving position, interior space that surpasses most conventional A-segment cars and also a class leading luggage capacity of 254 litres. During design, Suzuki succeeded in delivering a roomy and comfortable interior within a compact body of just 3,600mm and a width of 1,600mm. Celerio offers greater headroom too with a height of 1,530mm and its 2,425mm wheelbase provides plenty of space in the cabin for five occupants. Celerio offers low CO2 emissions of 99g/km and fuel consumption of 65.7mpg on the combined cycle. The recently launched Dualjet engine available on the SZ3 model offers even higher fuel economy of 78.4mpg and CO2 emissions that fall to just 84g/km. Cost of ownership can be even lower too for customers looking at a minimal deposit and low monthly payment option as Suzuki Financial Services is now offering a low rate PCP for the SZ2 model with monthly payments of just £79 over 42 months with a deposit of £1,816 and a final payment of £2,685 to keep the car.